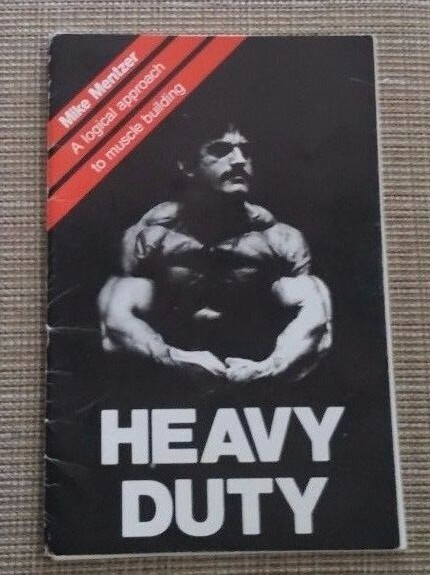 In this classic hard to find manual from 1978, Mike Mentzer reveals how you too can reach your greatest bodybuilding potential in the shortest amount of time, while training less then four hours a week. Mentzer's exploration of such diverse topics as the role of genetics in bodybuilding, psychological factors, unique dietary considerations, high intensity training principles, training to exhaustion, the truth about steroids, etc. I feel that unless you are an extreme hard gainer the routines in this book are better than those in Mike's later works, either way if you are a high intensity training fan you will want this as part of your library. 52 Pages with many great photos of Mike Mentzer when he was in top shape. The book is in good condition (internal pages are loose) and is protected by plastic magazine sleeve.